CommonLit is a free website that helps students develop advanced reading and writing skills. It serves hundreds of thousands of students in classrooms across the United States. 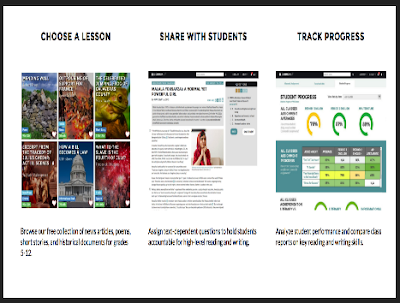 CommonLit gives teachers access to a full free digital curriculum that enables teachers to assign texts to students, score written responses, send real-time feedback and collect analytics on student progress. Its mission is to ensure that all students get access to quality instructional materials. CommonLit has recently released a new feature called text sets. Each text set contains 5-20 individuals lesson resources that share a common topic or historical period. This feature is available for free. 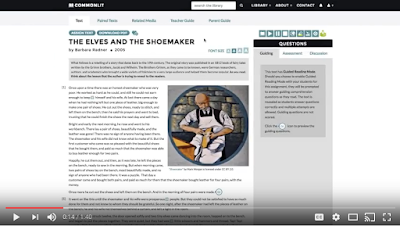 Like all of the materials on CommonLit’s free website, the texts themselves can be assigned to classes or individual students through the platform. Students answer a set of text-dependent questions online and teachers access data analytics on student progress. Each text also comes with a discussion guide, recommended paired passages, related media, and a parent guide. Schools with limited technology can download a printable version of the resources. Another exciting new feature from CommonLit is Guided Reading Mode , designed specifically to help struggling readers make meaning of difficult text. Watch the video below to learn more about this new feature.